Follies are generally defined as ornamental buildings with no practical purpose. They inspire thoughts of eccentricity and romance, and to some perhaps peculiarity. This may be only one side of their story, as when looked at critically, every folly has a purpose. This purpose may be to commemorate a loved one, or to mark a view point. Regardless of their purpose follies undeniably have finesse and intricate architectural detailing, which only adds to their charm and to the surrounding fabric of the landscape. Sadly, many follies are in poor condition and some have been added to the Built Heritage at Risk Register where their future is uncertain, however endeavours of the Follies Trust have been turning the future of such structures around. The Follies Trust has been working tirelessly across the island of Ireland to conserve, preserve, restore and protect these structures. Speaking with the Chairman of the Follies Trust, Primrose Wilson CBE, she said ‘The Follies Trust was formed in 2006 by a group of people who share a passion for unusual structures. We wanted to see there architectural curiosities preserved as they are part of our history and our heritage but having no regenerative value they are often regarded as expendable. In ten years the Follies Trust has conserved over twenty architectural curiosities many of them buildings at risk.’ As a Building Preservation Trust (BPT) they have worked hard to source a cocktail of funding for repair works, worked collaboratively with local groups and local authorities, as well as giving advice and guidance of repair works to these types of structures. The Follies Trust’s commendable efforts to bring follies back to life in their original setting now adds to the richness of their local landscape. 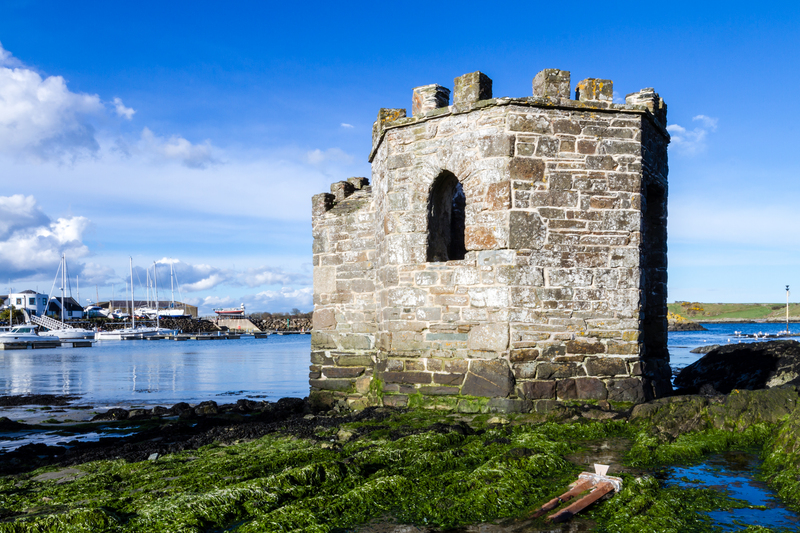 The Ardglass Bathing House is one such structure to receive their attention. In County Down, the Ardglass Bathing House is perhaps one of the iconic structures in Ardlgass harbour built in the early 1930s as part of a wider scheme of harbour improvements by Ardglass proprietor William Ogilvy. The bathing house is the only surviving part of the range of facilities built to draw visitors to the seaside destination in the summer months and most likely used as a ladies changing facility. 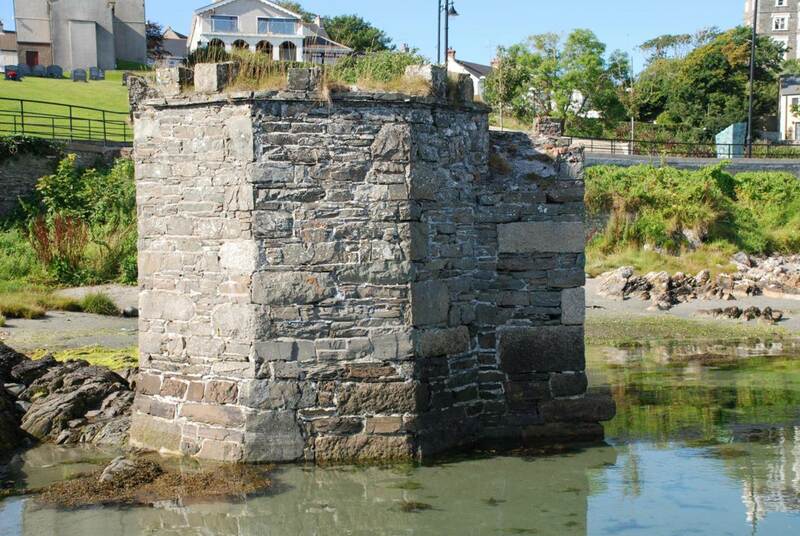 The structure was increasingly becoming under threat of collapse due to exposure of the strong Spring tides and associated salt weathering deterioration to the stonework and further erosion of the internal floor structure. These issues have been addressed and the building has now been safe guarded from collapse, where it is hoped it will remain in-situ for another one hundred years. Without the collaborative ethos, and expertise of The Follies Trust, both life and resilience of these iconic structures may have been lost to the forces of nature. However, after more than a decade this group of enthusiasts continue to highlight and repair these idyllic structures. Even though some may not fulfil a practical purpose, it is their intangible value relating to sense of place and local worth that deems these structures of most importance.